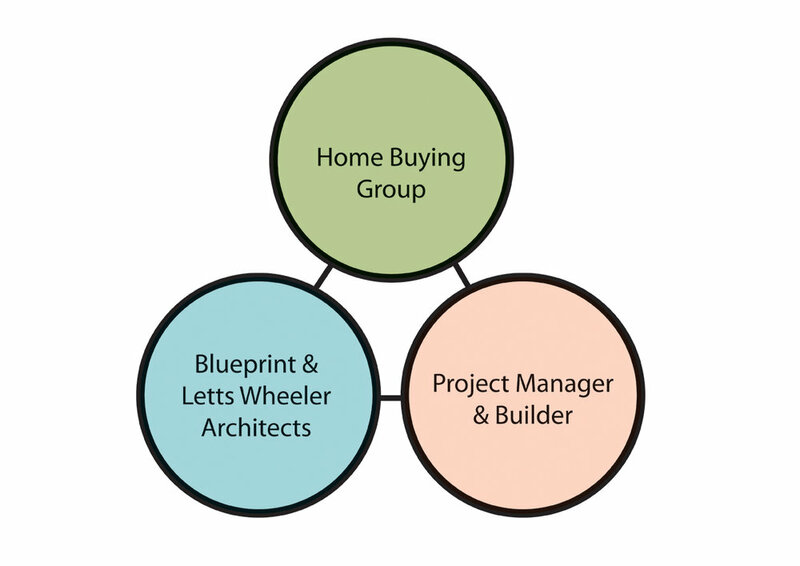 After a financial assessment a group of between 8–14 home buyers is formed (there are 14 in Phase 1). The group works with the architect to design shared facilities while individuals customise the design of their home. The professional team work in close consultation with the group to manage timescales and costs and to deliver against the groups goals. All houses in the group are built simultaneously to achieve a scale of economy. A warranty is provided for the home on completion. The time-scale from beginning to end is around 26 months which is significantly faster than an average ‘self build’ at 36 months. However it can move faster depending how quickly the group forms. A master-plan is already designed for Fruit Market and many of the planning requirements are established. The diagram above shows the four key phases of the development.